Thirty years after the Velvet Revolution, the atmosphere in Czech society is poisonous. In the country of Václav Havel, politicians are winning elections who lie as the cameras roll, who speak in vulgar language, and who defame their political opponents. Many who followed the course of the Czech presidential elections during the past few weeks in detail must feel they are trapped in a nightmare. 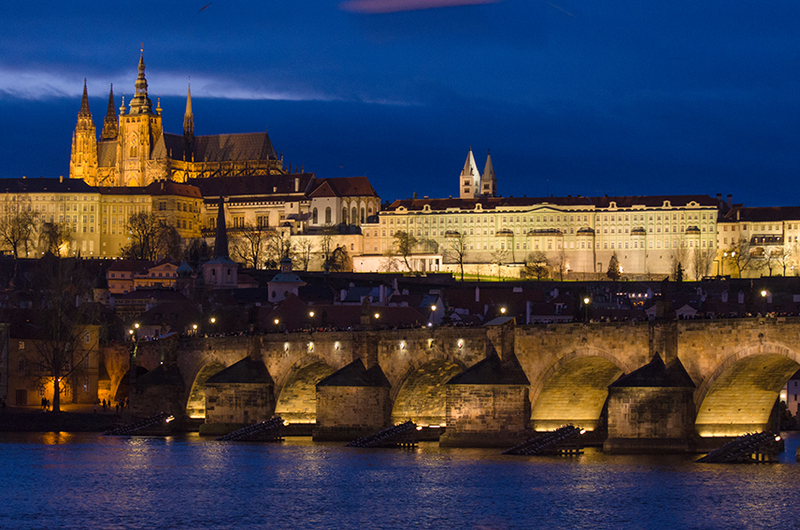 For more than 20 years, Prague has been the centerpiece of my own life. Never before have elections here been as tense as the presidential ones that just took place, and I have rarely seen so many people discuss an election so feverishly. After the final results, however, the hopes of the many citizens yearning for political change here have been extinguished. The crucial question that has been occupying many people here in the Czech Republic since last weekend’s results is: How could Miloš Zeman have been re-elected? How is it possible that almost 30 years after the Velvet Revolution, the atmosphere in the country is so poisonous? Why, in the land of Václav Havel, are politicians now winning one election after another who lie while the cameras are rolling, who speak in vulgar language, and who denigrate their opponents? Many who followed the course of the Czech presidential elections during the past few weeks in detail felt trapped in a nightmare. After President Miloš Zeman dragged the contest into the mud, culminating in a debate on commercial television prior to the second round of voting, he managed to defend his position in the second direct elections for president in the country’s history – albeit by a narrow margin of victory. He won 51.4 percent of the ballots cast in the contest against his challenger, the former president of the Academy of Sciences, Jiří Drahoš, who just one week ago had a tight lead in the polls. During a final sprint, Zeman obviously managed to mobilize most of the voters who did not bother to turn out during the first round. The second-round turnout was 66.6 percent. Zeman’s repeat victory is bitter for all who wish there would be more tolerance, mutual respect and decency in Czech politics, who hoped for the change that Drahoš embodied. However, Zeman’s arrogance, his selfishness, and his below-the-belt punches seem, by all accounts, impressive to many Czech men and women. A century after the establishment of Czechoslovakia, half a century after the Prague Spring, and a quarter-century after the establishment of the Czech Republic, there is very little reason to celebrate, as this election has demonstrated that Czech society is polarized and divided on political questions. The disunion of the Drahoš voters and the Zeman voters cannot be ignored and cuts across many parameters: This was Bohemia versus Moravia, cities versus the countryside, the younger generation versus the older one. The division is also demonstrated in relation to the occupations of the voting blocs: Zeman’s voters predominantly work in traditional sectors (industry, agriculture, construction and crafts), while Drahoš voters predominantly work in information technologies, the public administration, and the service sector. Sociologists here see a parallel to the developments in the United States: Voters who fear the consequences of globalization are, by all accounts, yearning for authority figures – for a strong man who will give them the feeling that he is protecting them from the incompetence of the political elites. In the Czech Republic it is obviously all the same to them that the man in question has belonged to the country’s political elite for decades, that he has obvious health problems, and that he is not afraid to lie, as the web portal Demagog.cz is documenting. President Zeman has exploited the concerns of these people to his benefit and has never missed a single opportunity to present himself as the savior of national interests, nor has he missed a chance to accuse the establishment parties of inactivity and incompetence. He caricatured his challenger, Drahoš, as lacking political experience and “welcoming” migrants. Zeman has done nothing during the past five years to halt the division of Czech society. The fact that those who are opposed to him and those who support him are incapable of dialogue has become exaggerated to an unbearable degree. Moreover, his supporters have radicalized, and it is no accident that some of the guests to his victory party physically assaulted journalists there. Zeman not infrequently subjects his critics and opponents to insults that are in poor taste. When he is “on”, he loves to brandish vulgarisms, and his arsenal is apparently unlimited. Zeman likes to get angry at migrants, Muslims, and the “Prague café”, by which he means those intellectuals and artists who disagree with him. The independent news media are also a thorn in his eye. In May 2017 he told Putin at a meeting in Beijing that there are too many journalists who need to be “liquidated”. Many people laugh at Zeman’s verbal slip-and-slide, but at least an equivalent number of people stopped finding it amusing long ago. A president should basically do his best to reduce deep polarizations in society, but Zeman is not at all interested in that – on the contrary. The rifts that have opened up between different camps in Czech society are ones that he most probably will not attempt to bridge, although before and after the elections he promised to tone down his behavior. Those rifts are the basis of his success, they are his political capital. Of course, it is also true that Czech political parties have taken too little interest in people’s concerns about the future. It is not enough to point out that the Czech Republic is economically successful now, or that it has the lowest unemployment rate in the EU, because this is about a much deeper fear of decline in a country that well remembers the last systemic transformation and the problems and destitution connected with it. The establishment parties are not able or willing to take that development seriously and to make it their own subject, which opens the doors for the far-right parties who fuel fears and resentments. It is no accident that Zeman, in his victory speech, praised just one politician, who was standing right behind him: Tomio Okamura, chair of the right-wing nationalist movement called “Freedom and Direct Democracy” (Svoboda a přímá demokracie - SPD), which last October entered Parliament for the first time as the fourth-strongest party with 10.6 percent of the vote. In addition, it was not possible to ignore the presence of former Czech Interior Minister Milan Chovanec on the day Zeman was re-elected, a man who, in 2017, advocated for the right to bear arms to be added to the Czech Constitution, allegedly to increase the security of the Czech population – an absolutely absurd premise given the current security situation in the Czech Republic and a move that was music to Okamura’s ears. Will Babiš get his wish? The outcome of the presidential elections is not just a dismal signal of what the future of political culture will be like in the Czech Republic, and it is not just a sad description of the state of Czech politics and society, but it will also significantly determine the further development of the country. After the parliamentary elections in October 2017 the victor, ANO movement chair Andrej Babiš, was entrusted by Zeman with forming a government. At the beginning of December Zeman appointed him Prime Minister, although it was still unclear whether his minority government of ANO members and independent ministers would win a vote of confidence from the lower house. In January the PM did not get a vote of confidence, among other reasons because most MPs refused to support a government led by a PM who is a tycoon against whom an investigation on suspicion of EU subsidy fraud is underway. At the beginning of 2018 the lower house agreed to strip Babiš and the vice-chair of the ANO movement, Jaroslav Faltýnek, of their immunity from prosecution. Babiš, despite this, is calmly continuing to govern, and after the vote of no confidence he declared that he prefers a minority government, as it is – according to Babiš – more practical. Zeman in recent weeks has emphasized more than once that he will again entrust Babiš with forming a government. No small amount of people here feel like they have found themselves in a bad movie where the PM is being granted wishes by the genie-in-the-bottle that is Zeman. It is, of course, necessary to wait and see whether Zeman will continue to support the ANO chair unconditionally, but for Zeman’s re-election it was important that Babiš backed him unconditionally. Polls demonstrate that Zeman scored points with voters who want Babiš as PM. Zeman, however, apparently does not much care about rapidly stabilizing the political situation, because the ongoing government crisis creates the room for maneuver that he wants to exploit as President. Because this is about Zeman’s final presidential term, it can be assumed that irrespective of Babiš, the President will attempt to advocate for his own political convictions with the aid of his dubious advisors – which means rejecting the reception of refugees, taking an Islamophobic position, opening Czech foreign policy towards Russia and China, and bolstering elements of direct democracy in the form of direct elections and referenda (including about leaving the EU). However, not all of this suits Babiš, who desires nothing so fervently as he desires to be a PM recognized by the rest of Europe. Babiš does not much care for the Czech Republic being catapulted to the EU periphery. Zeman’s political agenda, by comparison, overlaps with the political aims of Okamura. It is a real concern that Zeman could attempt to bolster Okamura’s position on the country’s political map. In addition, it is likely that Zeman will strive to influence the future of the Czech Social Democrats, the party he chaired from 1993 until 2001. From 1998 until 2002 he was a Social Democratic Prime Minister, and he only left the party after suffering defeat during his first presidential candidacy in 2003. Several MPs from the Social Democrats did not vote for him – the president was still chosen by Parliament then, not directly – and he has never forgiven his former party for that. Anybody who knows Zeman’s CV will not be surprised that Chovanec, who backed Zeman’s re-election and has repeatedly been seen with him in recent years, announced on the day after the presidential election results were final that he is running for the chair of the Czech Social Democrats. The dismay caused by the smoldering conflicts in society that the presidential elections brought to the surface and exacerbated is not over. There is no choice but to hope that those who have been campaigning for change in society in recent months are not so disappointed, frustrated, annoyed or desperate that their engagement in that work will stop. Of course, they should not forget to look for dialogue as they persist. Translation into English by Gwendolyn Albert. Orbán tries to destroy Germany’s positive image in Central Eastern Europe, depicting Germany as the capital of the decadent, liberal, pro-immigration EU that is doomed to fail. Tolerating such a behaviour would be a huge long-term strategic mistake for Germany. It ist the worst result of an election winner in Czech history. Almost all established parties recorded losses and voter turnout was one of the lowest since 1989. Could British referendum strengthen pro-EU voices in the Czech Republic? The government accepted the result with disappointment, while many in opposition saw it as an inspiration. Yet the post-Brexit debate might just as well be an opportunity to anchor the Czech Republic more deeply in the European Union.